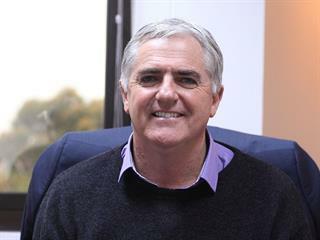 Capespan SA appointed Stuart Symington as new managing director earlier this year. He previously served as CEO of the Perishable Products Export Control Board and CEO of the Fresh Fruit Exporters’ Forum. He spoke to Glenneis Kriel about the future of Capespan SA. Capespan has undergone a metamorphosis over the past five years. What has been the logic behind this? We are trying to achieve two things. Firstly, we want to move away from the perception of being the ‘big brother’ of the industry, and rather concentrate on running a great business. To achieve this, we need to get our own house in order and also work more synergistically with other industry members – something we have not focused on in the past. Secondly, we want to become more commercially focused and specialise in procuring fruit and marketing it around the world. Following Zeder’s acquisition of the majority of Capespan’s shares, the company was completely restructured to capitalise on this aspect. Non-core business interests were converted into separate entities and the logistics division was merged into Contour. Businesses that could potentially create a conflict of interest were also spun-off into separate entities, such as Capespan Farms and Capespan Capital. Various fruit business units have also been established within Capespan SA itself. These are now totally accountable for their own performance. How did the company perform financially last year? Capespan SA’s 2014 financial result was not as healthy as the 2013 results, but the Capespan Group as a whole still achieved good results, despite difficult trading conditions. We are fortunate that Zeder has taken a long-term view of the agribusiness sector and continues to invest heavily in the Capespan Group. All Capespan’s entities are eager to take advantage of this opportunity. What was the reason for the relatively weak performance in 2014? Capespan SA experienced some challenges in its process documentation which let the side down, but we have plugged the gaps in the system and look forward to a much healthier performance in 2015. We believe that the establishment of Contour Logistics, in which Capespan has a 75% stake, will help to address the issue significantly. There were also more specific in-market issues like Citrus Black Spot (CBS) and labelling requirements for certain countries that placed a huge burden on our capacity and ability to market our fruit effectively. Tell us about Capespan’s overseas expansion. We are strongly focused on increasing our footprint in old and new overseas markets. This means we need to maximize our existing business model, and Capespan entities need to liaise very closely to optimise sales in conjunction with each other. Zeder has been actively buying interests in various international organisations during the past year, which will give us access to niche markets. In 2010, it bought a 25% stake in the Chinese fruit trading and distribution company, Golden Wing Mau, ensuring access to this lucrative market. Last year we also bought a 25% stake in one of Germany’s biggest fresh produce distributors, Fruchtimport van Wylick, as well as a similar stake in the Hong Kong-based, Good View Group. In addition, Capespan acquired a 50% stake in fruit marketing company, Mayfresh, in Istanbul, Turkey. Can you elaborate on the company’s acquisition of farms. Two pome fruit farms in the Elgin-Grabouw-Vyeboom-Villiersdorp area. We are also leasing two citrus farms – one in the Sundays River Valley and one near Komatipoort. In addition, we have acquired the state-of-the-art Novo packhouse in Paarl. Has government’s proposed cap on land ownership scared you off purchasing land? There is no clarity about government’s thinking on this matter, as a few changes have already been made since the initial announcement. There are also some unanswered questions, such as whether the application of this proposed policy will be backdated. Uncertainty also exists about the practicalities of implementing such a policy. Have you implemented any Black Economic Empowerment (BEE) programmes on the farms? No, not yet, but we are in talks with several parties at the moment. We do have a BEE initiative in place for the Capespan Group according to which all previously disadvantaged staff members benefit from the group’s profits. Should South African producers feel threatened now that Capespan is producing its own fruit and sourcing fruit from other countries? No. In fact, our independent producers benefit from our farming activities. For example, when we ‘open’ the grape season in Namibia and the Orange River, our independent producers can ‘piggyback’ on the early season by adding their products to consumers’ supermarket basket. Supermarkets then benefit from the fact that they can be supplied with fruit for the entire South African grape season. Producing our own fruit has also helped us as a group to gain access to new cultivars, and in turn we make these cultivars available to our independent producers. This would not have been possible if we were not involved in our own production. Of course, being involved at production level also gives you greater insight into the technical challenges facing independent producers, especially when trying to meet stringent market demands despite tough production conditions. What will your future strategy be for sourcing fruit? The Capespan Group currently sources its fruit locally, as well as from Peru, Chile, Morocco, Egypt, Turkey, India, China and New Zealand, among others. We not only want to increase our procurement levels from these countries, we also want to purchase fruit from new countries. This is to ensure that we can supply our large retail clients with a variety of fruit during the entire year. That is how you secure business from top retailers around the world, assuming that your quality and prices are in line with their expectations. The Capespan Group currently moves about 50 million cartons of fruit around the world every year. Is there still room for grower-exporters? Yes, and in South Africa the volumes coming from these suppliers are growing. This is a healthy development and one that will ensure that South Africa is seen as a reliable fresh fruit supplier in global terms. The one negative aspect for growers undertaking their own exporting, is that initially they often underestimate the cost of marketing. However, as long as it makes economic sense for a grower to go this route, it is beneficial for all concerned – including Capespan. We can provide growers with logistical services through our Fresh Produce Terminal and Contour sister companies. Don’t you think there are too many export companies in South Africa? Market forces dictate the number of export companies in the market. However, the trading environment is making it more difficult for small export companies to survive. I think we are moving away from an era in which relationship-marketing was crucial for the business. Things are more transactional now, and an exporter needs to bring value to the table including cost savings. This is difficult if you don’t have critical volumes. Overseas supermarkets are reportedly struggling. What does this mean for the fruit industry? There has been a shake-up in the British retail industry. The Big Five supermarkets in the UK account for about 85% of fresh produce sold, but most of them lost money in 2014. For this reason some of these companies have rationalised employee and supplier numbers. There has also been a market shift to consumers wanting to shop in smaller, more convenient store formats. British retailers need to adjust quickly to these market trends to ensure that they remain competitive. This may result in greater opportunities for Capespan to take on more of the procurement on behalf of these retailers. What would you like to change at Capespan as managing director? A lot of good work has been done in the organisation over the last 12 months. My contribution will be to accelerate and firmly bed-down some of these largely operational changes. The introduction of new mobile technology that enables the producer to interface with Capespan employees may see interesting results. As a company, we have to continually monitor our costs, and be mindful of the key indicators measuring our efficiency levels. Export carton growth will be firmly on our radar from this year onwards, including beefing up communication in our global organisation. With our young and vibrant workforce we look forward to running a great business with a high level of customer service. Phone Capespan SA on (021) 917 2716 or email [email protected]. This article was originally published in the 17 July 2015 issue of Farmer’s Weekly.